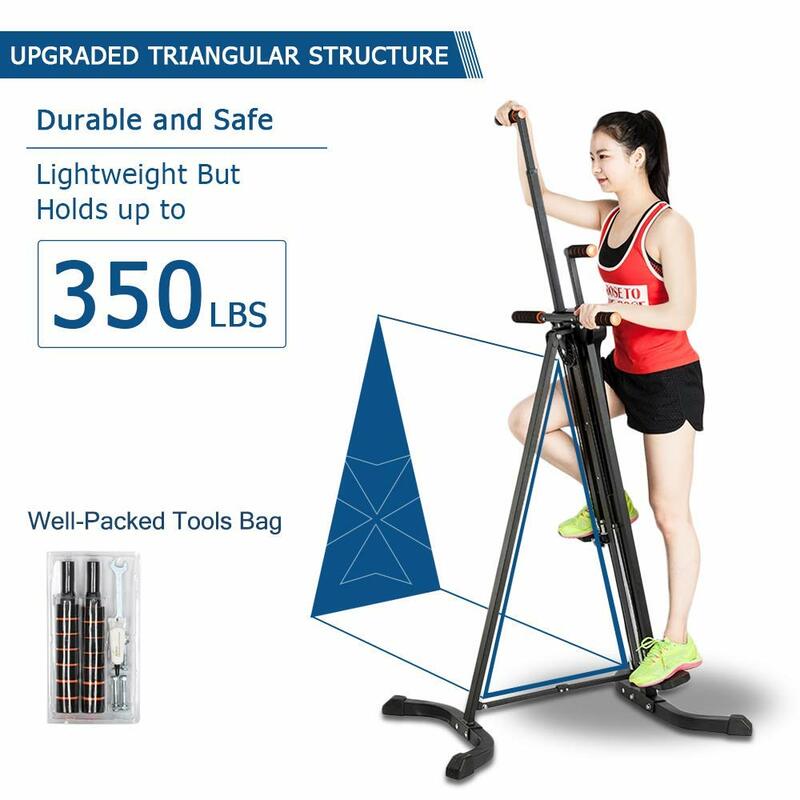 Pexmor Upgraded Foldable Vertical Climber has recently been released on the market and also appeared a few months ago at Amazon.com. The rating is 4.5 out of 5 stars by only two customers at the moment, being a recent release product. It is a vertical climber and stepper for your home gym that mimics the movements of actual rock climbing. And with the different levels of resistance it can be as challenging as well. The height is adjustable to accommodate people of different heights and their comfort level. There is even a small LED-backlit display panel that shows the three main stats of calories burned, distance and time exercised. So that you keep track of your progress and stay motivated during your workout session. You’ll get a very intense workout for all your body, including the core section and upper section, not just your legs. Your knees and joints will not suffer on this low impact vertical climber, as much as they might on a treadmill or even a bike. You shall work on your arms- triceps, biceps, abdominals and different leg muscles. You’ll actually be able to burn more calories and fat as you could on a treadmill in the exact same amount of time. It is a very safe and stable vertical climber with a rather sturdy construction that includes a good quality square steel tube. Hence the maximum user weight capacity is 350 pounds that should cover a large percentage of adults. The textured pedals are anti-slip and add to the safety of the product during your workout as there won’t be any slipping. Pexmor Vertical Climber offers five different adjustable heights to help you avoid potential injuries and you’ll be able to target slightly different parts of your lower and upper body. Unlike the most fitness equipment you may purchase online, this one is shipped 90% pre-assembled. And you’ll be able to do the remaining 10% easily with the short and clear instructions. There is a well-packed tools bag in the package. When you’re done with your workout you can fold it up and put it away in the corner of your living room, in the closet or under the bed. It is not designed for commercial gym settings for tens of customers a day, but is suitable for home gym, office use or wherever you want to use it. Having said that it is quite sturdy and durable and can be used by other people in your house. It weighs 38.6 pounds, measures 28.7 x 37 x 59.8-75.2 inches and 28.7 x 19.6 inches as folded. Pexmor Vertical Climber is good for both cardiovascular and resistance training as you’ll be burning calories and fat, tone and strengthen muscles, improve your balance and build endurance. 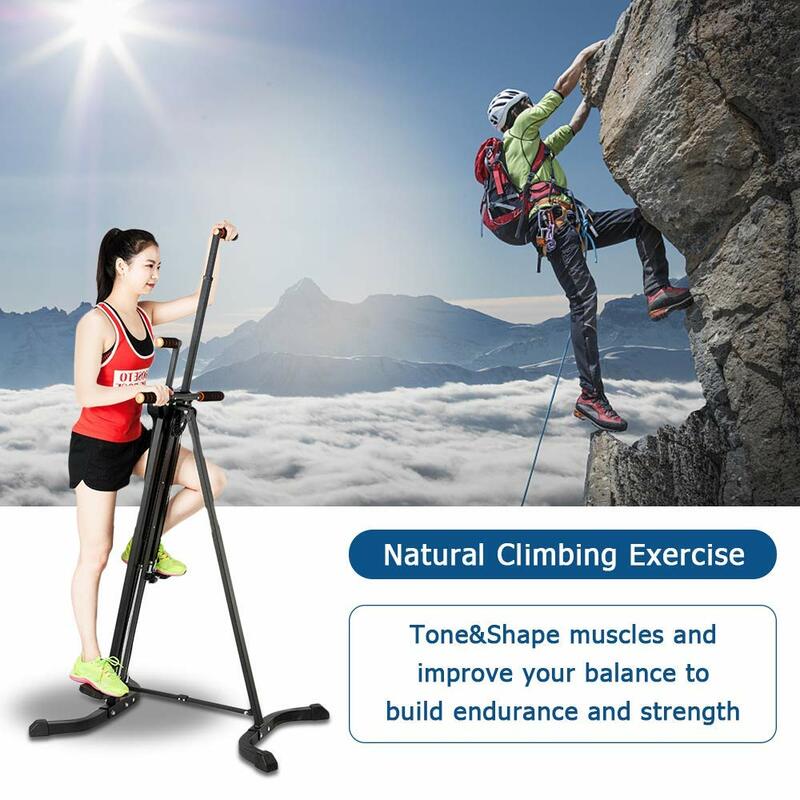 It is a solid and stable vertical climber with an upgraded triangular structure that doesn’t wobble during your workout. It is very easy to operate and will work on your thighs very well and the workout pressure will be delivered to the other parts of your body. You’ll get a warranty of two years by the manufacturer as well as a 30-day money back guarantee if you’re not satisfied with this vertical climber for whatever reason. For the low price point you’re getting very decent value for the dollar.